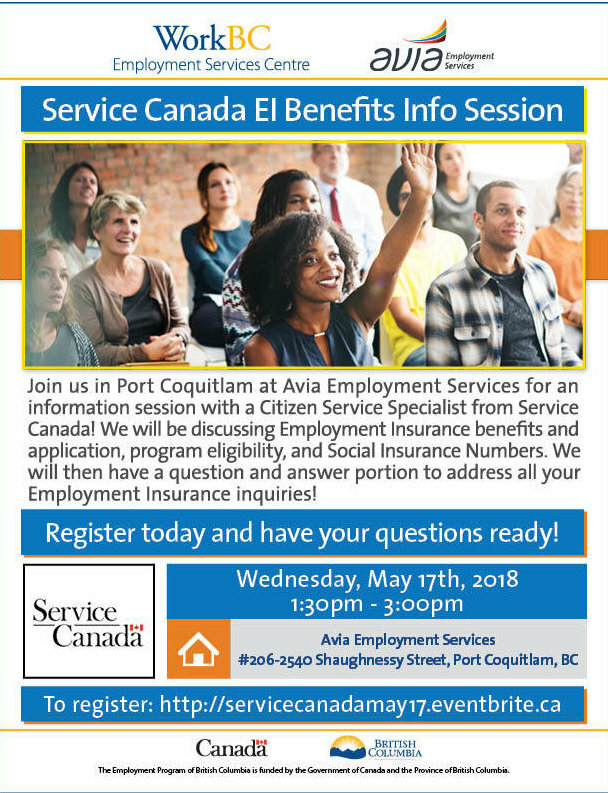 Meet with Citizen Service Specialist from Service Canada to learn about Employment insurance benefits, eligibility, application and general inquiries. Looking for work? Immediate Hiring? Attend the Vancouver Job Fair and meet recruiters, HR Managers and Hiring Companies from Vancouver. Join the Avia Employment Services at the Coquitlam Public Library for a multi-employer hiring fair! There will be a number of employers from variety of sectors looking to fill out various positions. Come prepared with copies of your resume. Do you need space to use for meetings, connections or other indoor activities? The City of Port Coquitlam would like to welcome non-profit organizations to contact them about venue space at the Port Coquitlam Recreation Complex on Wilson Avenue. For more information, contact Chris Eastman. 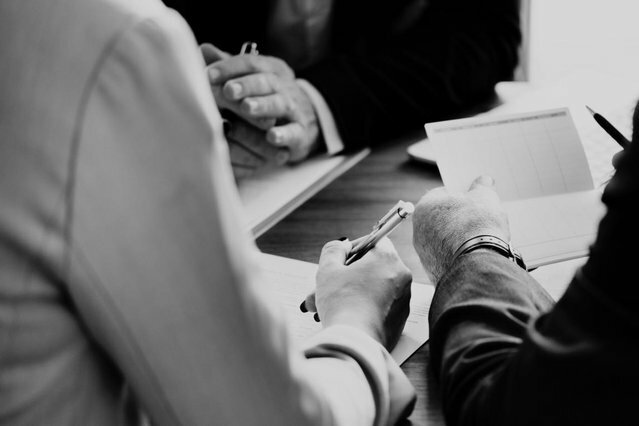 The Inter-Cultural Association of Greater Victoria (ICA) helps individuals and organizations to connect across cultures by providing information, support and tools to help immigrants and refugees reach their goals. 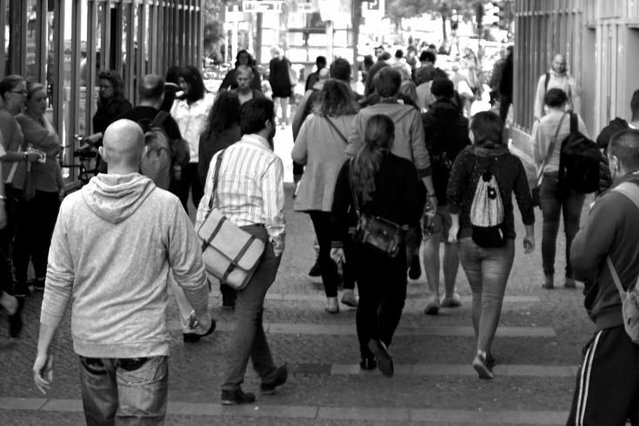 By engaging people through networks, education, employment, and arts programming, they create a welcoming community. Language is one of the most obvious barriers for newcomers in their settlement and integration process. While newcomers learn the language, how can communities better address and support newcomers' language needs while they are learning the languages? The We Speak Translate (WST) is a first of its kind projects designed to address the language barrier . 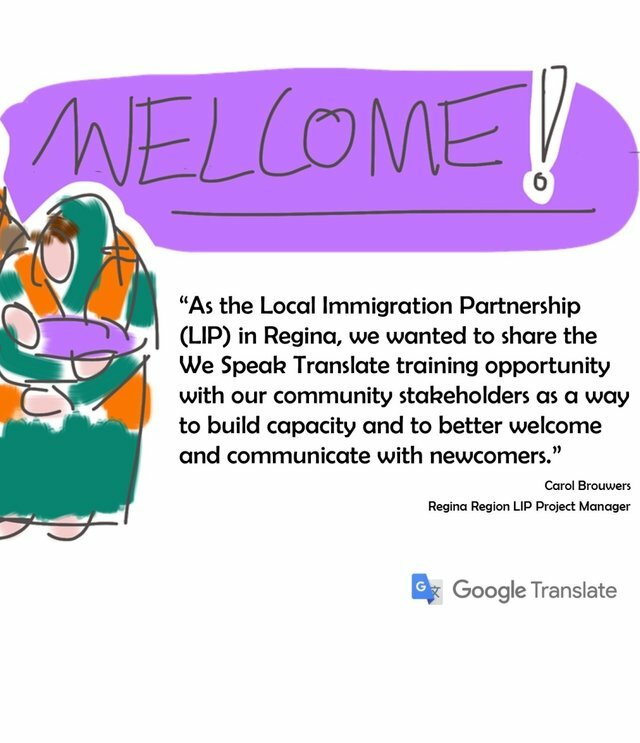 The project is a collaboration between Google translate and the ICA utilizing the Google Translate app for refugee resettlement and newcomers inclusion in communities. - Encourage welcoming communities that value diversity, inclusion and integration. - Become familiar with the Google Translate app (free, downloadable app for smartphones and tablets). - Establish a common platform for communication with newcomers while English language skills develop. To date, over 1800 community members and stakeholders have received Google Translate training through the We Speak Translate project. 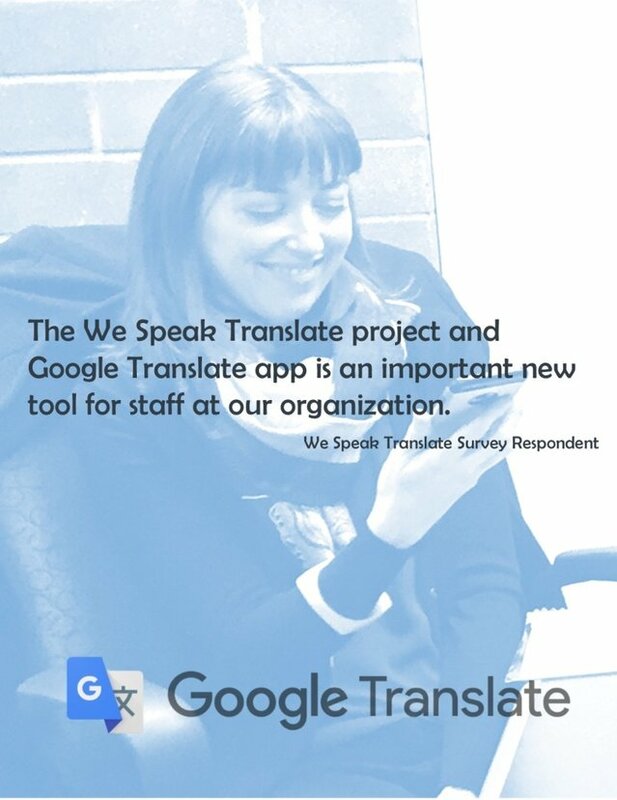 Would you like to learn more about how to use the Google Translate app? Register today for a free webinar training. For registration and or more information, visit the ICA Website. Research in Canada suggests that there are significant gaps in research, policy, and teacher preparation when it comes to supporting k -12 refugee students in Canadian classrooms. Join the Cities of Migration and the Emerging Scholars and Practitioners on Migration Issues Network to discuss the experiences of refugee students in the classroom and beyond, current educational policy gaps when it comes to supporting refugee students, and successful strategies that teachers, resettlement officers, and school administrators can use to ease the transition for refugee students in schools. 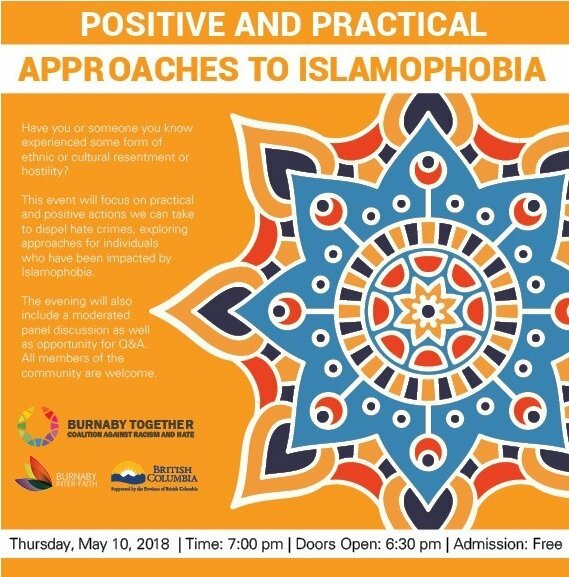 about some practical and positive actions we can take to dispel hate crimes, exploring approaches and best practices used for individuals who have been impacted by Islamophobia. The discussion will be led by experienced professionals who engage in combatting Islamophobia on a daily basis, as well as discuss the success of the Islamophobia hotline. The evening will also include a moderated panel discussion as well as opportunity for Q&A. All members of the community are welcome. Join the 4th annual Canadian Immigration Summit and connect with over 300 stakeholders to learn, network, and shape Canada's immigration future. Increase your knowledge on how you could save a life. 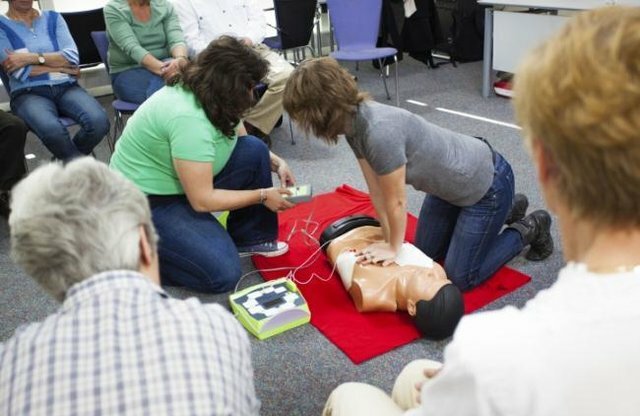 In this two hour session you will learn some basic CPR skills as well as how to operate an Automatic External Defibulator (AED). This basic awareness session is geared to help increase your confidence in these crucial lifesaving skills. Advanced registration is required, click here. ISSofBC is awarding several bursaries for Refugee Youth and Newcomers to Canada to encourage education and professional development. 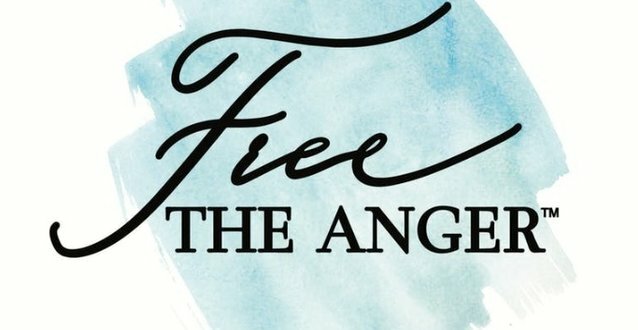 The deadline for submissions is June 30, 2018. Click here for more information on the bursaries and or applications. The Ministry of Mental Health and Addictions is building a Province Mental health and addiction strategy and needs your help in providing input and shaping the strategy. Phase 1 of the public engagement is looking to bring together participants from direct services providers and those wh ocan speak to their experience at the community level. Phase 2 will include public dialogue and open feedback from all British Columbians. 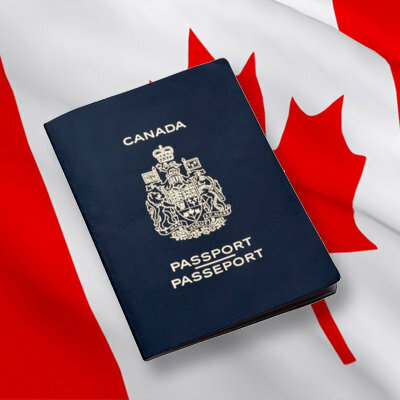 Join library staff and fellow residents who are looking to prepare for the Canadian citizenship test. Great opportunity to learn about Canadian history and culture. Calling all citizens, elected officials, community organizations, practitioners and anyone else interested in issues of civic engagement and sustainable cities. 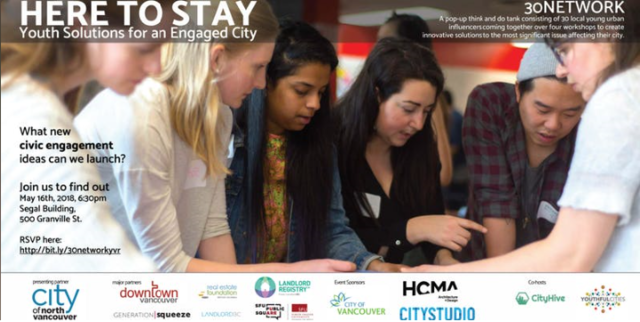 Join the City Hive, Youth full Cities and the SFU Public Square for an evening of exciting and thought-provoking discussion and strategies to collectively enhance civic engagement in the Metro Vancouver region through directly supporting tangible projects and dialogue. Free and fun conversation classes to practice English, make new friends, learn about Canada, enjoy other culture and to have some fun. 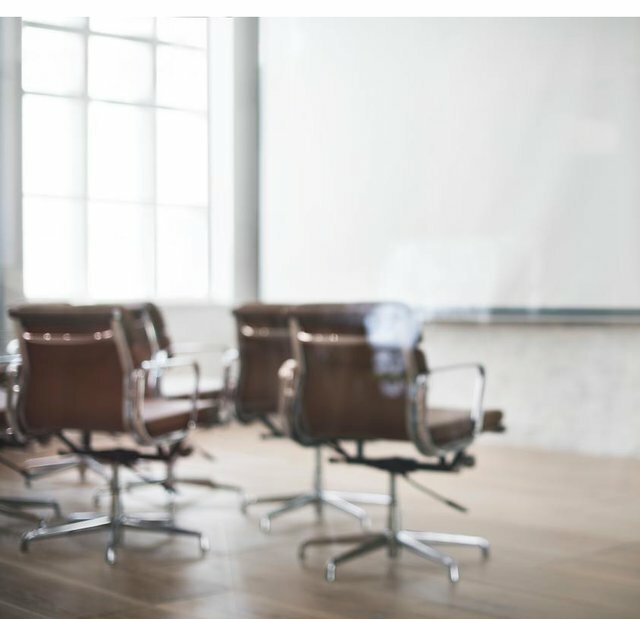 Whether you are completely new to the job market, re-entering the workforce, or looking to advance your career, this course will empower you with the knowledge and skills necessary to dazzle during your next interview. Learn what steps to take before, during and after an interview to successfully sell yourself to an employer. Join a 3 hours workshop designed for individuals and or groups interested in identifying issues of mental health and learning to use effective skills to manage anger and stress in order to improve overall health and productivity. 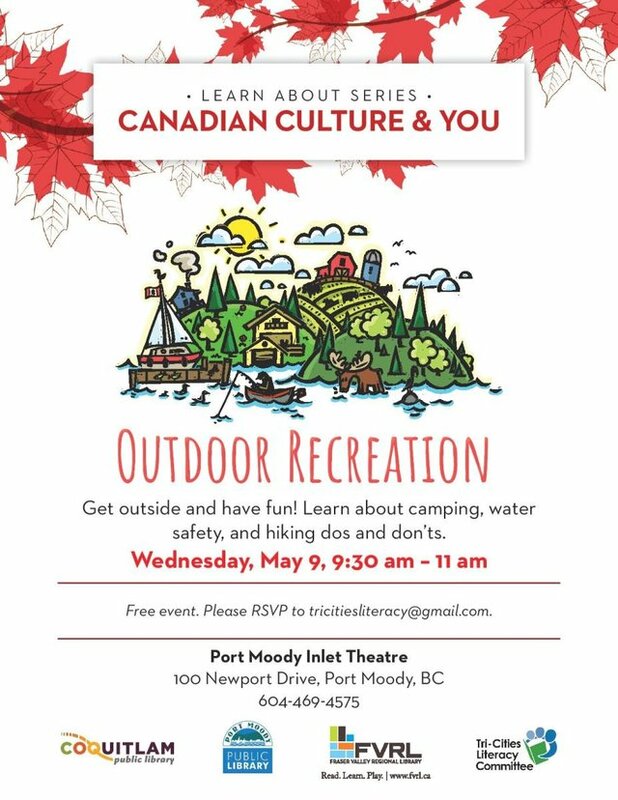 Join the Coquitlam Public Library, Fraser Valley Regional Library and the Tri-Cities Literacy Committee for a fun morning. Get outside and learn about camping, water safety and hiking dos and don'ts. A joint policy paper published by University of Calgary School of Public Policy and Canadian Global Affairs Institute putting forth a number of policy strategies that Canada can take to improve its refugee strategy. Published by the Migration Policy Institute, this research publication examines the approaches taken by nine host countries to respond to the needs of children of refugees and asylum seekers and highlight some of the common challenges and promising practices. To download full guide, click here . In efforts to enhance accessibility and opportunities for Canadians with disabilities, the Minister of Immigration, Refugees and Citizenship announced changes to the medical inadmissibility provision.